Sparkle Telecom, the company behind Call Happy, has unveiled a convenient new service that allows users to add credit to pay as you go mobile phones in over 20 countries. This revolutionary new service (thought to be the first of its kind in the United Kingdom) allows callers to send mobile phone credit by dialling a UK premium rate number. The cost of the call is £1.50 from most landlines and £2.00 from most mobiles, this amount is converted into local currency and added to the international mobile phone instantly. The company launched a similar service last year which was became very popular, where customers transferred credit from their UK mobile phone, this service was recently suspended thought to be due to a high number of fraudulent transactions. There are a lot of options when it comes to ways to transfer money overseas but they all cater for larger sums of money and the fees make them too expensive to send smaller amounts. Mobile phone credit is treated more like cash in a lot of developing countries and this service is ideal for sending small amounts such as pocket money or gifts to friends and family. The main feature of the new service is that it can be used from both landline and mobile phones; calls from mobile costs approximately 25% more. The service can be used with all of the major UK mobile networks as well as most of the larger MVNO such as Lebara, Vectone and Lycamobile. 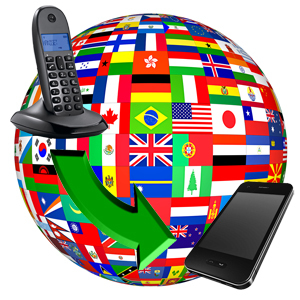 These networks have a much higher number of international callers so this service will be very popular with those users. The number of countries that you can send credit to is set to increase but currently the most popular countries are covered such as India, Bangladesh, Afghanistan, Pakistan, Nigeria, Syria, Ghana, Sri Lanka and Philippines.